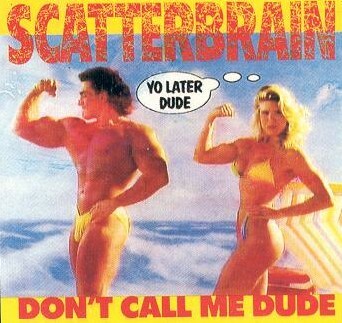 Scatterbrain was a thrash metal band formed in the early 1990s by former Ludichrist members, Tommy Christ and Glenn Cummings. 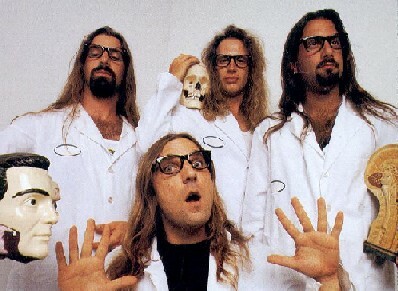 They released two full-length albums: Here Comes Trouble (1990) and Scamboogery (1991). 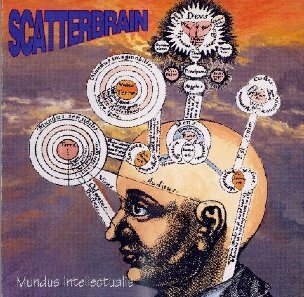 Also released is a 7 song album titled: Mundus Intellectualis (1994). 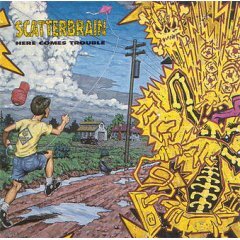 Scatterbrain are most likely best known for their songs "Don't Call Me Dude" and "Down With The Ship," both involving an element of humor. Glen Cummings briefly joined Mucky Pup after Scatterbrain disbanded. 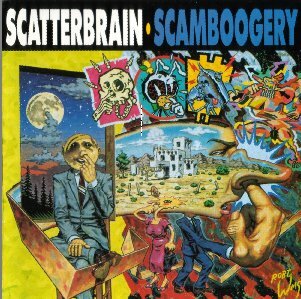 Scatterbrain is also an Australia psytrance act by Adam Walters. He released a debut album on Digital Psionics in 2003 ago with reviews globally. This debut album ‘Infernal Angel’ is still being talked about in psytrance circles worldwide.